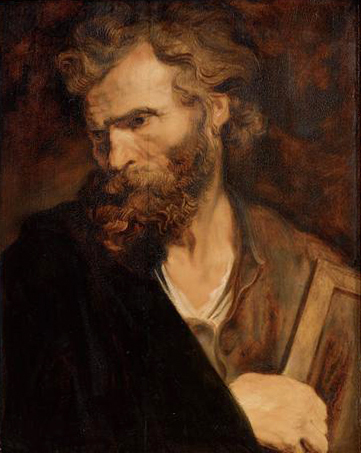 Today is the feast day in Western Christian churches of Jude the Apostle, also known as Judas Thaddaeus. My title, “Jude the Obscure,” is somewhat sardonic – as is Hardy’s book title. Jude is an obscure apostle. He is generally identified with Thaddeus, and is also variously called Jude of James, Jude Thaddaeus, Judas Thaddaeus or Lebbaeus. He is sometimes identified with Jude, the brother of Jesus, but is clearly distinguished from Judas Iscariot, the apostle who betrayed Jesus prior to his crucifixion. Judas Thaddaeus became known as Jude in English after early translators of the Greek Bible into English sought to distinguish him from Judas Iscariot and subsequently abbreviated his forename. Both Jude and Judas are translations of the name Ὶούδας in the original Greek, a variant of the Aramaic Judah (Y’hudah), a common name at the time. Most versions of the Greek Bible in languages other than English and French refer to Judas and Jude by the same name. “Jude of James” is only mentioned twice in the New Testament: in the lists of apostles in Luke 6:16 and Acts 1:13. The Epistle of Jude states that it was written by “Jude, a servant of Jesus Christ and a brother of James” (Jude 1:1). Luke’s name, “Jude of James,” is ambiguous as to the relationship of Jude to this James (Jacob). Though such a construction sometimes connoted a relationship of father and son, it has been traditionally interpreted as “Jude, brother of James” (Luke 6:16). Although some modern Protestants identify him as “Jude, son of James” (in the New International Version translation for example), in the King James Version and Revised Standard Version he is “Judas the brother of James.” The Gospel of John also mentions a disciple called “Judas, not the Iscariot” (οὐχ ὁ Ἰσκαριώτης), who asks Jesus, “Lord, how is it that You will manifest Yourself to us, and not to the world?” (John 14:22). This is often accepted as being the same person as the apostle Jude. Tradition holds that Saint Jude preached the Gospel in Judea, Samaria, Idumaea, Syria, Mesopotamia and Libya. Although Saint Gregory the Illuminator is credited as the “Apostle to the Armenians” when he baptized King Tiridates III of Armenia in 301, converting the Armenians, the Apostles Jude and Bartholomew are traditionally held to have been the first to bring Christianity to Armenia, and are therefore venerated as the patron saints of the Armenian Apostolic Church. 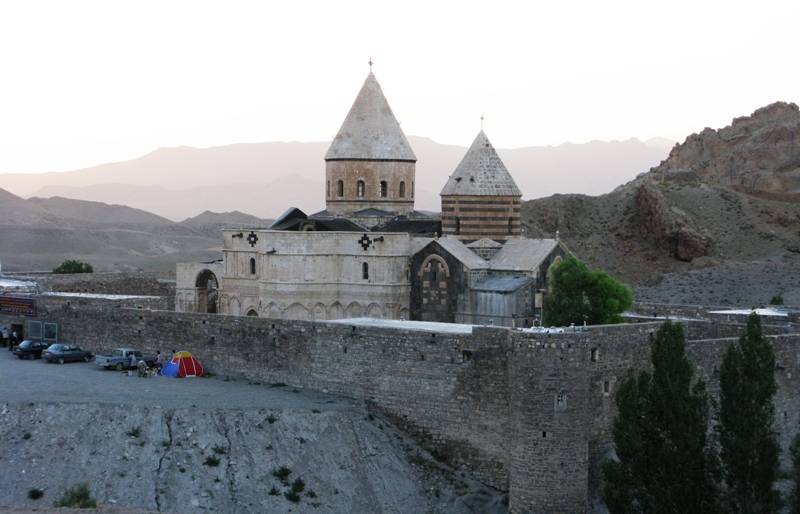 Linked to this tradition is the Saint Thaddeus Monastery (now in northern Iran) and Saint Bartholomew Monastery (now in southeastern Turkey) which were both constructed in what was then Armenia. 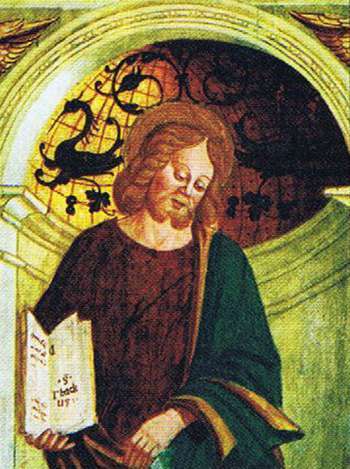 According to tradition, Saint Jude suffered martyrdom around 65 CE in Beirut, in the Roman province of Syria, together with the apostle Simon the Zealot, with whom he is usually connected. The axe that he is often shown holding in pictures symbolizes his method of execution. Their acts and martyrdom were recorded in the Acts of Simon and Jude part of a collection of passions and legends traditionally associated with the legendary Abdias, bishop of Babylon, and said to have been translated into Latin by his disciple Tropaeus Africanus. 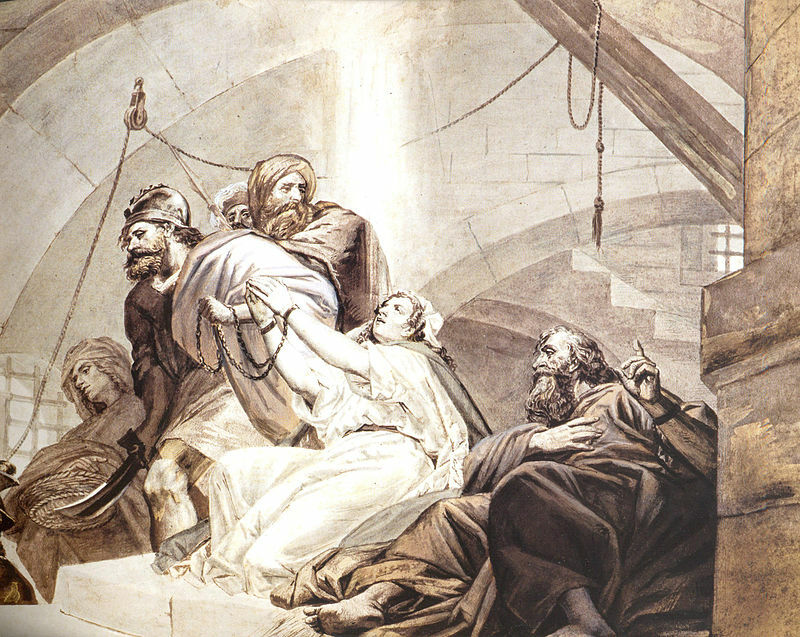 Some time after his death, Saint Jude’s body was believed by some to have been taken from Beirut to Rome and placed in a crypt in St. Peter’s Basilica which was visited by many devotees. Now these bones are in the left transept of St. Peter’s Basilica under the main altar of St. Joseph in one tomb with the relics of the apostle Simon the Zealot. According to another popular tradition, the remains of St. Jude were preserved in an Armenian monastery on an island in the northern part of Issyk-Kul Lake in Kyrgyzstan at least until the mid-15th century. The Dominicans began working in present-day Armenia soon after their founding in 1216. At that time, there was already a substantial devotion to Saint Jude by both Catholic and Orthodox Christians in the area. This lasted until persecution drove Christians from the area in the 18th century. 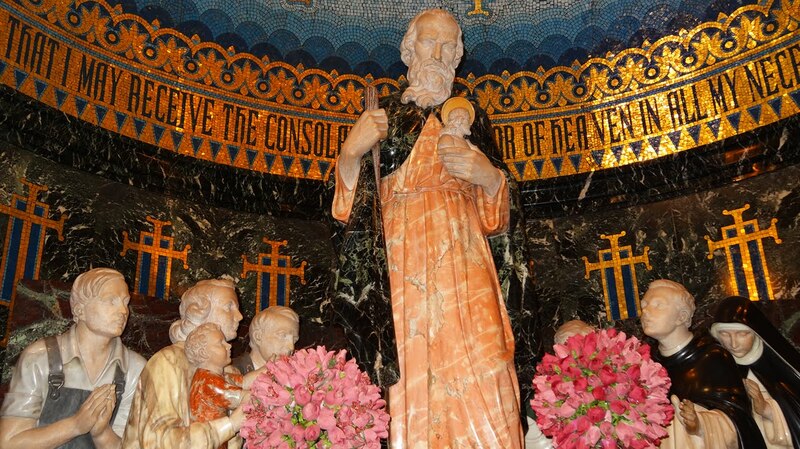 Devotion to Saint Jude began again in earnest in the 19th century, starting in Italy and Spain, spreading to South America, and finally to the United States (starting in the area around Chicago) owing to the influence of the Claretians and the Dominicans in the 1920s. Among some Roman Catholics, Saint Jude is venerated as the “patron saint of lost causes.” Saint Jude is also the patron saint of the Chicago Police Department and of Clube de Regatas do Flamengo (a soccer team in Rio de Janeiro, Brazil). His other patronages include desperate situations and hospitals. One of his namesakes is St. Jude Children’s Research Hospital in Memphis, Tennessee, which has helped many children with terminal illnesses and their families since its founding in 1962. 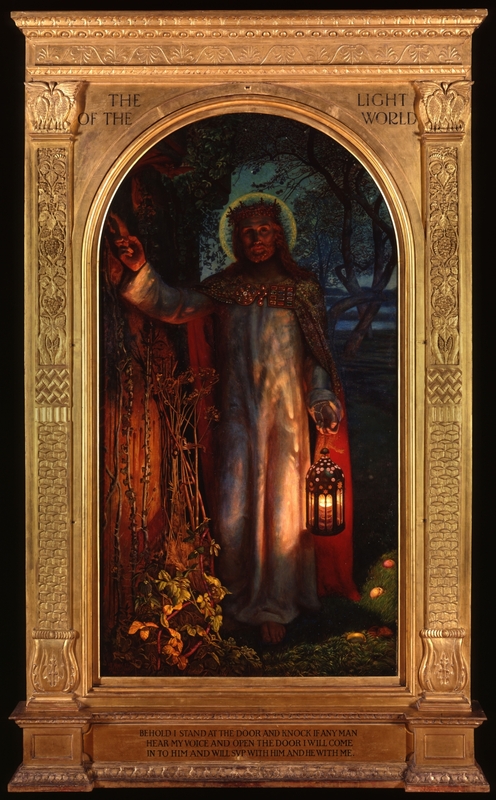 I’ll stand by my epithet, “the Obscure.” In truth we know virtually nothing about Jude the Apostle, and don’t even really know if the name Jude has been applied to one or several men indiscriminately. In my more skeptical moments I tend to think that the notion that there were 12 close disciples of Jesus who were contemporaneously known as “the Apostles,” is an invention of the gospel writers (or their sources), perhaps mirroring the 12 tribes of Israel. A select few of Jesus’ disciples, such as Peter, John, and James, are well attested in the gospel narratives, and the rest, including Jude are shadowy at best. They seem to be included in lists of the apostles to make up the number 12, rather than because they had some clear identity. Whether or not an actual apostle or person from Judea evangelized Armenia is not historically verifiable, but the relationship between St Jude and Armenia is indisputable. So, let’s talk about khash. 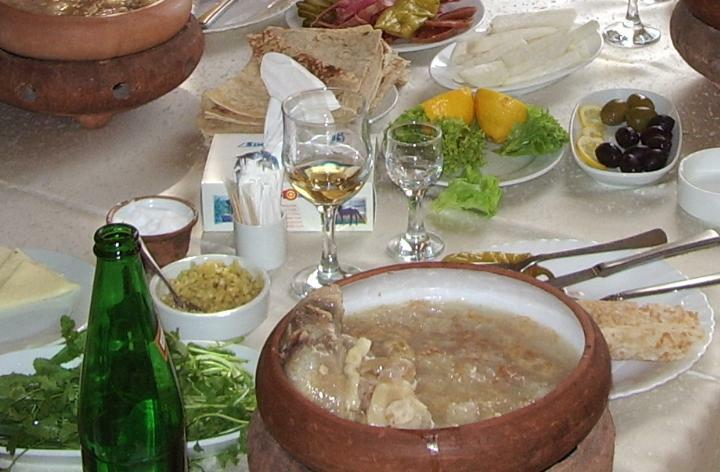 Khash is a major institution in Armenia. Like all Armenian cuisine, versions of khash can be found across a wide region from Persia to the Caucasus, but the Armenian version is special. At heart it is a soup made from the feet and shanks of sheep or cows (sometimes with tripe as well). The feet are depilated, cleaned, kept in cold water, then simmered slowly all night long until the water has become a thick broth and the meat has separated from the bones. No salt or spices are added during the cooking process. The dish is served hot. Here is a video showing how it is eaten in Armenia. Lavash is traditional Armenian flatbread. Khash is generally served with a variety of other foods, such as hot green and yellow peppers, pickles, radishes, cheese, and fresh greens such as cress. The meal is almost always accompanied by vodka (preferably mulberry vodka) and mineral water. Khash was formerly a nutritious winter food but is now considered a delicacy, and is enjoyed as a festive winter meal. Modern-day convention in Armenia dictates that it should be consumed during months with ‘r’ in the name, thus excluding May, June, July, and August (month names in Armenian are derivatives of the Latin names). 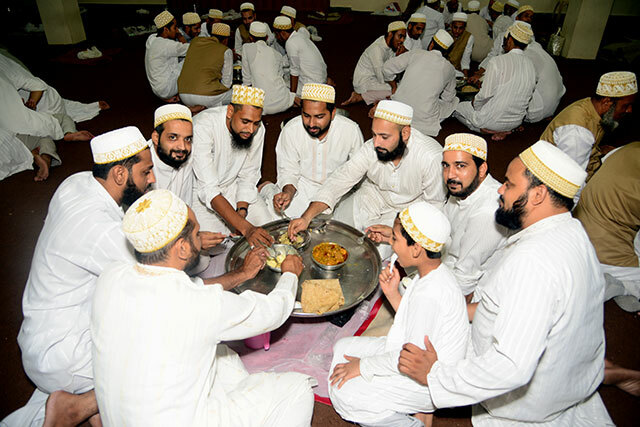 There is much ritual involved in khash parties. 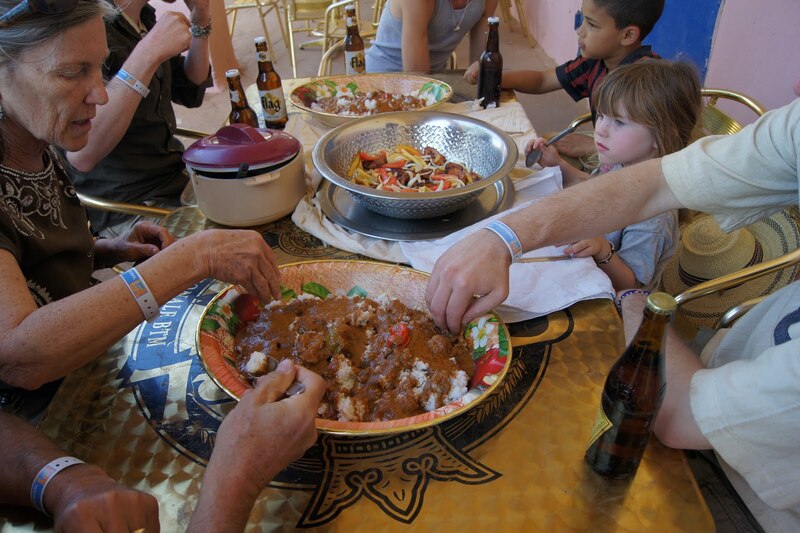 Many participants abstain from eating the previous evening, and insist upon using only their hands to consume the unusual (and often unwieldy) meal. Because of the potency and strong smell of the meal, and because it is eaten early in the mornings and so often enjoyed in conjunction with alcohol, khash is usually served on the weekend or on holidays. It is therefore a perfect meal for the feast of St Jude. The Parliament of Religions opened on this date in 1893 at the World’s Congress Auxiliary Building which is now The Art Institute of Chicago, and ran from 11 to 27 September. Today it is recognized as the occasion of the birth of formal interreligious dialogue worldwide, with representatives of a wide variety of religions and new religious movements. It was not entirely representative of all the faiths of the world, but it was a good start. In 1893, the city of Chicago hosted the World Columbian Exposition, an early world’s fair. Consequently, because so many people were coming to Chicago from all over the world that many smaller conferences, called Congresses and Parliaments, were scheduled to take advantage of this unprecedented gathering. One of these was the World’s Parliament of Religions, an initiative of the Swedenborgian layman (and judge) Charles Carroll Bonney. The Parliament of Religions was by far the largest of the congresses held in conjunction with the Exposition. John Henry Barrows, a clergyman, was appointed as the first chairman of the General Committee of the 1893 Parliament by Charles Bonney. The Jain preacher Virchand Gandhi. The Buddhist preacher Anagarika Dharmapala was invited there as a representative of “Southern Buddhism,” the term applied at that time to the Theravada. Soyen Shaku, the “First American Ancestor” of Zen. An essay by the Japanese Pure Land master Kiyozawa Manshi, “Skeleton of the philosophy of religion” was read in his absence. 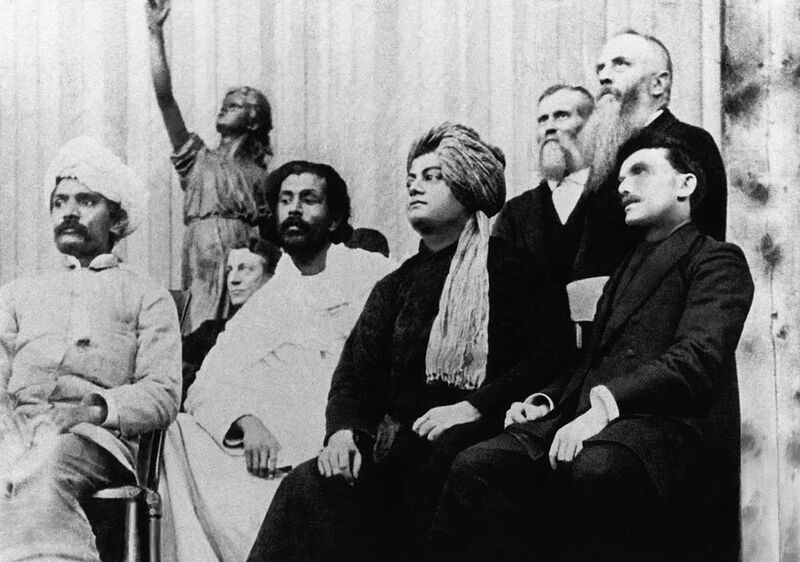 Vivekananda represented the faiths of India as a delegate and introduced Hinduism. Mohammed Alexander Russell Webb, an Anglo-American convert to Islam, and the former US ambassador to the Philippines. Rev. Henry Jessup, represented Christianity but also introduced the Bahá’í Faith. There were also representatives of new religious movements of the time, such as Spiritualism and Christian Science. The latter was represented by Septimus J. Hanna, who read an address written by its founder Mary Baker Eddy. Absent from this event were Native American religious figures, Sikhs, and other indigenous religionists. Nonetheless, it was a good start. 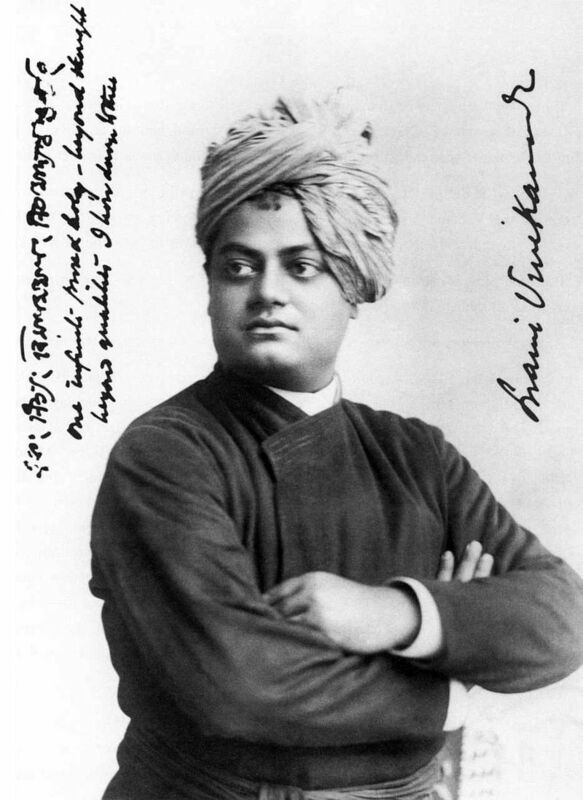 Swami Vivekananda was one of the most important speakers on the opening day of the parliament. Vivekananda (Bengali: স্বামী বিবেকানন্দ), born Narendranath Datta, was an Indian Hindu monk, and a chief disciple of the 19th-century Indian mystic Ramakrishna. He went on to be a key figure in the introduction of the Indian philosophies of Vedanta and Yoga to the Western world and is credited with raising interfaith awareness, bringing Hinduism to the status of a major world religion during the late 19th century. He was also a key force in the revival of Hinduism in India, and contributed to the concept of nationalism in colonial India. These words got a standing ovation from the crowd which lasted for two minutes. When silence was restored he resumed his address. He greeted all nations on behalf of “the most ancient order of monks in the world, the Vedic order of sannyasins, a religion which has taught the world both tolerance and universal acceptance!” It is not some quirk or coincidence that a Hindu should preach these words. Hinduism is extremely open to all manner of concepts of divinity and spirituality. In the speech Vivekananda also remarked about Hindus, “We believe not only in universal toleration, but we accept all religions as true.” There are even some Hindus who are technically atheists. Of course, there are also some pockets of rigidity and narrowness of vision within Hinduism. All faiths have their zealots. But at root Hinduism teaches that we all find God in our own way, and there is not a single path that is privileged. When I was a candidate for ordination in the Presbyterian church, my last step before ordination was oral examination by the entire presbytery. This is normally a routine procedure, but I hit a bit of a stumbling block. Being a professional anthropologist had raised some red flags in a few eyes. The formal Presbyterian organization, PC(USA), of which I was a member, is a strange beast. It was created by shoving together distinct organizations that had once been distinct, but were forced into each others arms by financial exigency. One branch in the US South was extremely conservative, and did not lie easily with more “liberal” Presbyterians. My presbytery was known for being extremely “liberal” but it had a small conservative, evangelical faction that was always causing trouble at presbytery meetings. This faction decided to make a point at my examination for ordination. For ordination each candidate writes a “statement of faith” which is distributed to all members of the presbytery before the examination and becomes the basis for questioning. An evangelical member of the presbytery opened the questioning with the deathless: “I have eleven questions to ask you about your statement.” All the other members of the presbytery groaned in unison, but I smiled, “Bring it on.” I’ll debate anyone on any topic – anywhere, any time. This is pretty stock stuff for conservatives, who are adamant that Christianity is the only true faith. My reply was not what they expected, nor wanted. That set the cat among the pigeons. Even some “liberal” members were shocked. When it came down to asking me to leave the room after the questioning was over so that the members could vote on my ordination, I had a long wait – much longer than usual. One of my friends left the voting for a few minutes and came out to say, “It’s tough going in there, but you’ll pass.” I wasn’t worried. If they didn’t want me, I didn’t want them either. In the end I was voted in overwhelmingly. Presbyterians just like the sound of their own voices – a lot. I had raised some important issues, which is all I ever want to do. So what is God? I told you – I don’t know. I’m pretty sure of what God is not – not male or female for starters (which is why I assiduously avoid pronouns); not an old guy in the sky sitting on a throne and making things work; not my friend in any conventional sense; not human in any respect. Somehow we have to break free of our limited vision, but how? I’d say that a good starting point is the cross-cultural study of religion. It’s not that I think that Buddhism or Jainism or Hinduism or whatever has a better view of God; they have a different one. Maybe when you put all the visions together you can build a better picture. That was the agenda of the first Parliament of Religions, and, to a limited extent, it continues. Building bridges and ecumenism are not popular these days. Nationalism and xenophobia are much more popular than ever, and politicians love to use religion as their weapon. Christians can be among the worst offenders. As we know, radical Islam raises its voice these days. In no case is religion actually talking. These are political zealots using religion as a rallying point. Instead of fostering such conflict I’d like today to be a day of harmony even though it is the anniversary of 9/11 which saw the U.S. and the world torn apart, with the effects very much still with us. Islamophobia and conflict are on the rise in Europe and the U.S. Jesus preached peace – “Love your enemies.” One of my favorite Bible verses in Revelation 3:20: “Behold, I stand at the door, and knock” He doesn’t follow up with “Open and I will come in and preach to you.” He says: “if any man hear my voice, and open the door, I will come in to him, and will sup with him, and he with me.” Jesus knew that eating together breaks down barriers. Ancient Jews knew it too. 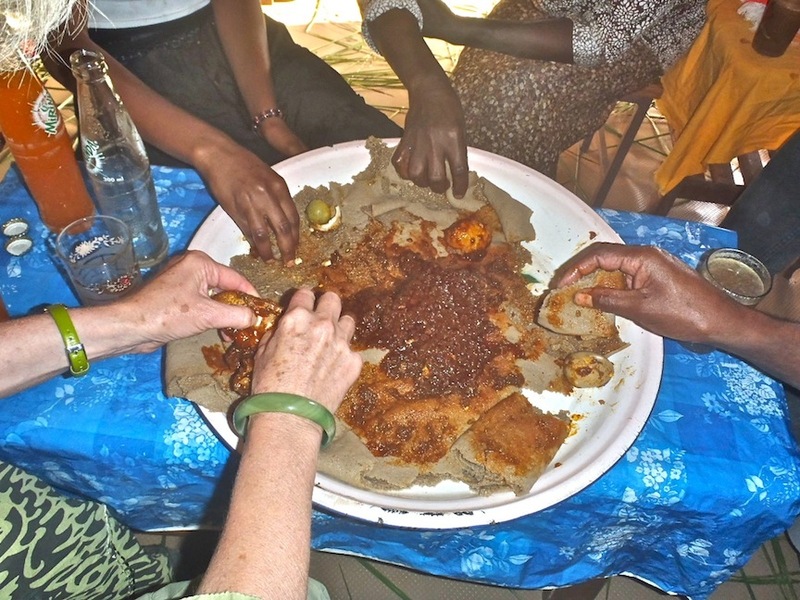 They developed incredibly complicated dietary laws precisely to stop people eating with them. They knew it would lead to friendship and assimilation and they didn’t want that. You are different. 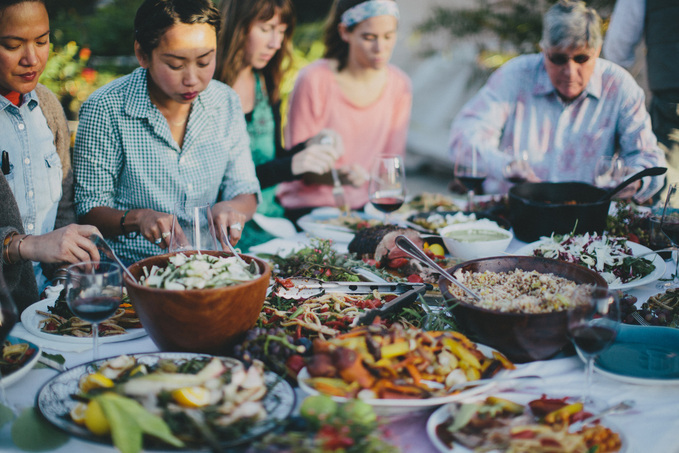 Take today to eat with people, especially strangers. I do it all the time. When I cook I serve a lot of different dishes and I put them in the middle of the table so that guests can help themselves. This is the norm in China, of course, but also throughout Asia and the Middle East, as well as parts of Africa. I’ve never liked plating up individual dishes. That’s why I could never be a chef. I want everyone to come together.